At the height of ISIL’s ferocious campaign that saw them sweep across Iraq and Syria in 2014 with astonishing speed, came one of the militant group’s biggest successes. In June, within days of launching an offensive on Mosul, Iraq’s second city along with its hugely diverse population fell into ISIL hands. From here, ISIL leader Abu Bakr al-Baghdadi declared his Sunni caliphate, with Mosul at its centre. Now, with a revitalised army of Kurds and Iraqis waiting on the outskirts of the city, the fall of ISIL’s capital and indeed the caliphate itself could be imminent. While the fight to rout ISIL from Mosul may soon reach its bloody crescendo, the battle for the much-disputed city is far from over. Mosul is the focus of many interests. The fractious nature of the country has seen Kurds and Iraqis alike vie for control of the city over previous decades. While all are fighting to liberate Mosul from ISIL, the Iraqi army, Kurdish Peshmerga and Turkey back Sunni militias are embroiled in tense game of chess, verging on stalemate. There is little doubt that the ISIL stronghold will soon fall. ISIL’s fighters are out manned by almost ten to one by the coalition of forces descending on Mosul. 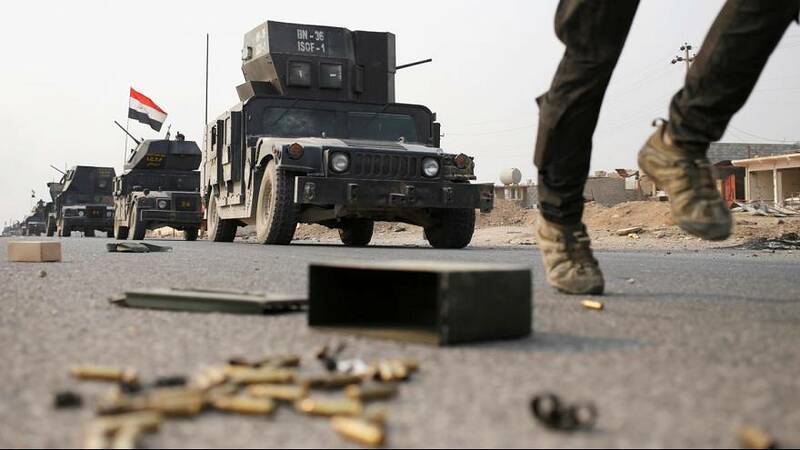 An estimated four thousand five hundred militants defend the city, while a force of some 50,000 Iraqi, Kurdish, Shiite, Turkish, American and French troops bears down upon them from all directions. For Iraq’s government, the challenge is not just to reclaim Mosul from the jihadists who have overrun it, but also to assure the city’s largely Sunni population that they will not come into harm’s way. As with the battle for Fallujah, the Shiite militias fighting alongside the Iraqi army have been ordered to remain outside the city over fears they may carry out revenge killings on the Sunni civilians trapped inside Mosul. However, with tensions between Shiite, Sunni and Kurds raging, just how well Iraq can unite under one banner is yet to be seen. For the Kurdish Peshmerga, who have been on the frontline against ISIL since the al Baghdadi’s proclamation of the caliphate, the consolidation of Iraqi Kurdistan is Paramount. Mosul and its surrounding oil fields is much desired by the autonomous region which is currently seeking independence. Meanwhile, President Recep Tayyip Erdogan of Turkey also has his eye on Mosul. The city – which once formed part of the Ottoman empire – along with great swathes of Northern Iraq and Syria, was stripped from Turkish control by Western powers. Ankara would wish to maintain some kind of authority in the area, not least to quell the aspirations of Kurdish nationalists for an independent state. In short, the battle for Mosul is far from over. If ISIL’s demise ever comes, there will be no more common enemy. The city is on the brink of a humanitarian crisis unlike any other seen in recent times, and when there is no ISIL left to fight, can an agreement be struck between the forces fighting for Mosul?